For patients on regular medication the right hand side of your computer prescription may be used to obtain a repeat prescription’ please tick the items you require and leave the sheet at reception. You may also post your request enclosing a SAE and your new prescription will be posted back to you. You may also benefit from a Repeat Dispensing Scheme or an Electronic Prescription Service, please ask the receptionist for more details. 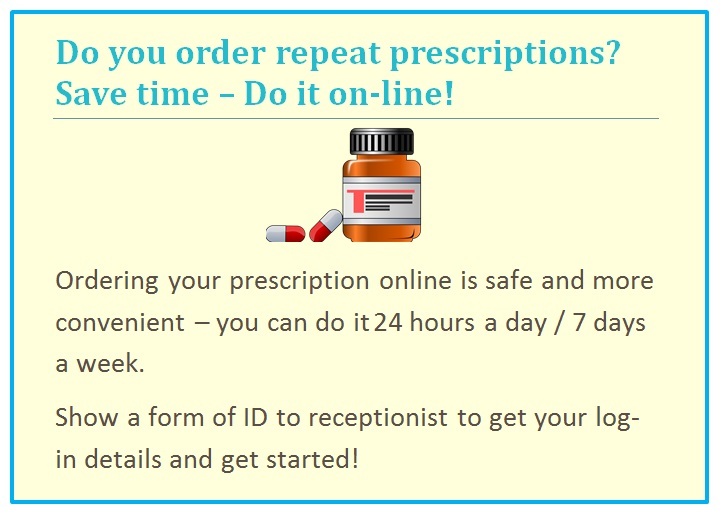 Requests for prescriptions can be made in person, on-line or at the pharmacy.